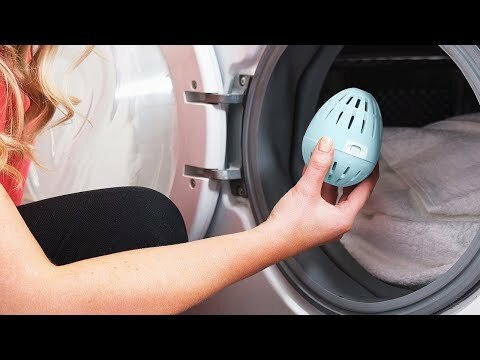 Toss a dryer egg in with your laundry. It’s hypoallergenic and tested to be super soft on sensitive skin. Plus, its fragrance sticks infuse your clothes with a fresh scent. Dimensions: 5" x 2.5" x 8"
Saves Money and works very well. I tested these out and bought 3 more sets to add to my other short term rental units. So far so good. One week in! I had one polyester tablecloth that could have used a static guard sheet, but otherwise it's nice and refreshing!